Not the literal type of burn la. So this person decided that he should park his BMW in an area he clearly shouldn’t be parking his car. 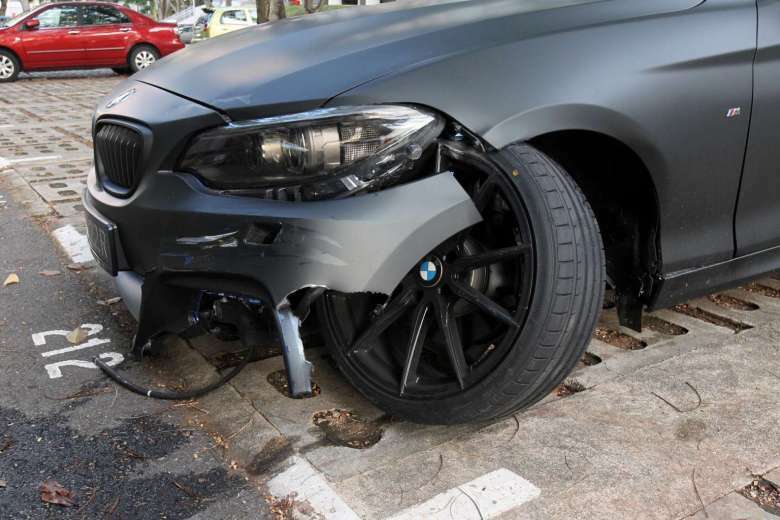 It was somewhere in some construction site, and it looks like the foreign workers didn’t take too lightly the inconvenience his BMW caused. 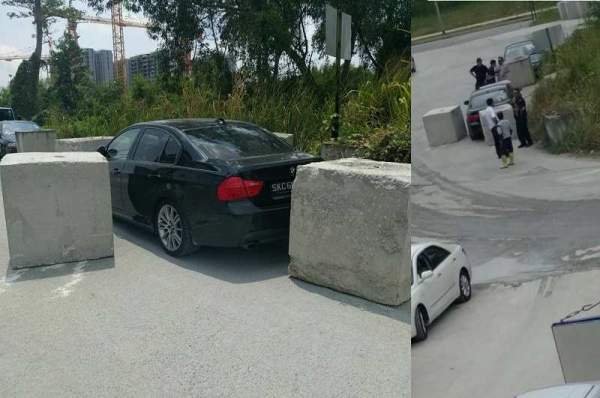 So with a little wicked humour they entrapped the car with concrete blocks. He eventually had to call the police. What’s with BMW drivers anyways, do all BMWs come up with a special brochure that tells you, you can do anything you want now you’ve got a new Bimmer?